Once again achieving noteworthy results in 2018, Mexico ranks high for multiple factors, scoring first for personal happiness; and second for leisure activities, ease of settling in, and cost of living. Puerto Vallarta, Mexico - InterNations.org recently released the results of its 2018 Expat Insider Survey, which ranks the best countries for expat living. Now in its fifth edition, Expat Insider is among the biggest surveys worldwide to inquire into the living situation and happiness of expatriates. In order to complete the survey, they asked 18,135 expats living in 187 countries a series of questions relating to their experiences living abroad. InterNation's survey results have been broken down into several rankings and reports, like: Where do expats enjoy the best quality of living? Which countries are ideal for raising children? and Where can expats make the most of their budget?, among others. Once again achieving noteworthy results in 2018, Mexico holds the top rank for multiple factors, scoring first for personal happiness, and second for leisure activities, ease of settling in, and cost of living. Perhaps it is due to the fact that nearly two out of five expats living in Mexico (39%) are retirees or that 20% have moved there mainly for a better quality of life (e.g. 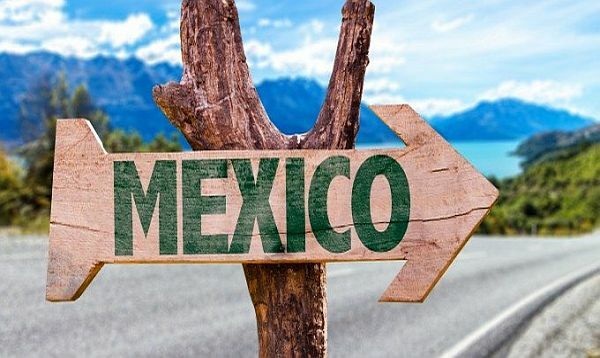 weather and climate) - in any case: expats in Mexico are the happiest in the world, with the country ranking 1st out of 68 for personal happiness. Ratings in the Expat Insider 2018 survey similarly point to a favorable climate and a wide range of leisure activities, with fewer than 1% of respondents giving these factors very negative reviews. The Mexican population is ranked as the friendliest in the world, with an impressive 64% of the respondents saying that the local residents couldn't be any friendlier. More than half (56%) also say that the Mexicans' attitude towards foreign residents is very friendly, and with regard to finding friends, Mexico similarly tops the global charts. Mexico's fourth-place overall ranking was down one spot from last year's survey, but the same as it was in 2016. In fact, 88% of respondents said they were "generally satisfied" with living in Mexico. In addition to Mexico, three other Latin American countries made the survey's list of the top 10 places for expats to live in 2018. Ecuador ranked highest in third place, Costa Rica took seventh, and Colombia came in ninth. To learn more about InterNations' Expat Insider survey, and see more 2018 rankings, reports and infographics, please visit internations.org.